Personal flight into space is not yet a cash-and-carry business.However, things are looking up: The privately-built and financed SpaceShipOnehas flown. Passenger-carrying suborbital spaceships are being built. The pulseof public interest in rocketing high above Earth is being felt. And even ticketprices are set. Nevertheless, just how fast the lines will form, and whattype of person is ready and willing to toss down cash to become a payloadheaded for space will require a bit of crystal ball, wait-and-see watching. And according to a businesswoman, there are already lessonslearned that if not heeded might hold back the sky-high hopes of space tourismoperators. "For a long time, I resisted attending the space conferencesand sharing my knowledge of adventure travelers," Jane Reifert, President ofIncredible Adventures, Inc. told SPACE.com. "But I now worry that if I don't speak up, expensive mistakes will be made thatwill grind the space tourism industry to a halt before it gets off theground." Since 1993, the Sarasota, Florida-based group has offeredhigh-performance jet rides, high-altitude skydiving, and other daring butdoable venues for patrons. They have also added suborbital flights to theirofferings, partnering with Rocketplane Ltd. of Oklahoma City to supply ticket-in-hand consumers a roundtrip flight betweena spaceport in Oklahomaand the edge of space. One thing that Reifert is emphatic about is get to know yourclient base. Reifert said that one worry she has is that a lot of greatengineers out there working on the first generation of space tourism vehicles"simply don't have a clue" regarding their passengers. After all, a goodarchitect wouldn't design a house without first considering the wants and needsof the people who will live inside, she added. "I fear aerospace engineers are so wrapped up in determiningengine specifications and flight trajectories that they haven't stopped toconsider who will ride in their vehicles," Reifert said. Simply keeping the passengers alive isn't enough, Reifertadded. "To gain continued public support for civilian space travel, the initialvehicles have to exceed expectations on all levels. If customers aredisappointed or feel they didn't receive the experience they were promised atthe suborbital level, it'll hurt any chances for orbital tourism." 2) They may be "super-sized". 3) They won't really care where you putyour spaceport. 4) They shouldn't be expected to meetstringent physical requirements. 5) They don't like surprises and expectperfection. 6) They aren't overly concerned withprice or safety. 7) They're short on time. 8) They'll likely be men over 50. 9) They will come from around the globe. 10) They're nothing like the tourists that show up at Disney parks. Recently taking part in a university study group's view ofan orbital tourism business, Reifert said she was miffed when one set ofgraduate students earmarked absolutely nothing for sales and marketing costs. "When I asked why they hadn't budgeted anything to pay acompany like Incredible Adventures to sell flights, they said they were surethe media would give them a lot of exposure, like they had for the SpaceShipOneflights. The students had what I call the 'Field of Dreams' curse....the 'buildit and they will come' mentality. I sense several of the companies working todevelop civilian space vehicles have the same unrealistic view of reality,"Reifert explained. While public access to aircraft-supplied zero gravity for afee is now available within the United States, Reifert said that too few peopleunderstand what it's like to experience weightlessness. "People didn't rush out to buy DVD players when they first cameon the market. They first had to be educated in their advantages and madeto understand the movie-viewing experience they'd enjoy," Reifert concluded. There is no doubt that the personal spaceflight industry isturning the corner, in terms of becoming a reality-based affair, not a TwilightZone fantasy world. The signposts up ahead are becoming easier to read. Space Adventures, Ltd., a leading space experiences companybased in Arlington, Virginia,announced this week the official opening of an office in Tokyo, Japanand the inauguration of a Japanese-language Space Adventures web site. The firmexplained in a press statement that they've received thousands of requests fromJapan,and other countries in the Asia-Pacific region, with individuals hungry formore information on opportunities available today for space tourism. "We have seen a trend in the last 18 months of a growinginterest in private space exploration from Japan," explained Eric Anderson,president and Chief Executive Officer of Space Adventures. Anderson'scompany was the first provider of orbital trips to space, handling pay-per-viewcustomers, American businessman Dennis Tito and South African entrepreneur, MarkShuttleworth - each shelling out millions of dollars for a Russian Soyuz rocketride and a stay aboard the International Space Station. According to Anderson, the group willannounce a Japanese space tourist in the coming weeks. According to Space Adventures, a study undertaken by the Universityof Tokyo Research Center for Advanced Science andTechnology has pinged public attitudes towards space exploration. Among thefindings of their 10-year study, they discovered "an enormous unsatisfieddesire among the general public to travel to space for themselves." Some 80 percent of young people up to the ageof 40 would like to trek into space, and 30 percent of people in their 60's and70's also stated they would like to travel to space, the study found. A Space Adventures' suborbital program is currently indevelopment, the firm has stated. It will consist of a four-day training periodand a 90-minute spaceflight, with passengers experiencing up to five minutes ofcontinuous weightlessness. The company is working with several of the leadingspace vehicle manufacturing companies and notes it is the first company toaccept deposits from suborbital spaceflight clients, currently totaling over$2,000,000. Space Adventures is anticipating suborbital spaceflights tocommence in the 2007-08 timeframe and the current, "up and going" price for theprogram is $102,000. 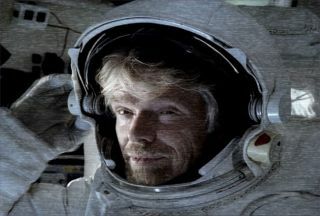 Not to be left behind and breathe the rocket fumes of anycompetitor, enter Virgin Galactic. This new subsidiary of the Virgin Group, aBritish conglomerate run by tycoon Sir Richard Branson, has contracted famedaerospace designer Burt Rutan and his Scaled Composites teammates in Mojave, California to supply afleet of public-carrying suborbital vehicles. Last year, the Mojave Aerospace Ventures penned a $21.5million deal with the Virgin Group to license suborbital reusable launchvehicle technology based on Rutan's SpaceShipOne rocket plane. A $100 millioninvestment plan has been developed to build up to five spaceships. Virgin Galactic recently reported that work is well underwayin the Mojave Desert on the initial design and technical feasibility of VirginSpaceShip "Enterprise" and MotherShip "Eve". "Although we can't divulge any details yet, we are confidentthat our safety and configuration specifications can and will be met and thatwe will very soon be able to move to the construction stage of the project,"explained Alex Tai, Head of Operations at Virgin Galactic in a newsletterupdate. The first flights under Virgin Galactic are planned to begin as early as 2008. Ticket price for a person's space hop has been set at $200,000. "Flights are filling quickly but space is still available.Refundable deposits of at least 10 percent will be required to secure a seat,"the space travel company's web site explains. "Our aim is to reduce ticketprices as the business grows over the coming years. We plan to offer theopportunity to reserve these tickets by payment of a small deposit against afuture space flight at a time and price that suits you." Virgin Galactic is busy surveying prospective suborbitalspace passengers - tagging them as astronauts in view of the altitude theirvehicles will carry them: 62 miles (100 kilometers) above Earth. Part of the questionnaire asks any future astronaut travelerto rank in order of importance the features of suborbital space flight,such as: becoming a space pioneer by flying in the first year of flights,viewing Earth from space, experiencing supersonic flight at over three timesthe speed of sound, undergoing acceleration forces at over four times normalgravity and feeling weightless, the reputation of the space line operator, aswell as space ship safety features. Thepotential space traveler is also queried about any qualms the person might haveabout traveling with Virgin Galactic, be they safety concerns, price, value formoney, health and fitness requirements, at least a three-year wait, and the U.S.launch location. Last month, Will Whitehorn, President of Virgin Galactic,told the U.S. House of Representative's Subcommittee on Space and Aeronauticsthat his company has even loftier plans. "Our long-term goal is to developcommercial space tourism into an orbital business which could in the futurecarry payloads as well as people into orbit," he testified in a writtenstatement. Also speaking before subcommittee lawmakers, Burt Rutanpredicted that the commercial private spaceflight industry - once the revenuebegins to flow - upwards of 100,000 space travelers will have "enjoyed thatblack sky view" by the twelfth year of operations. By achieving the goals of building safe, affordable, andexperience-optimized suborbital spaceships, "this is going to be a much, muchbigger market than anyone imagines," Rutan said.